Doors open at 7PM; readings begin at 7:30. The New York Times Book Review called Anthony Marra’s debut novel, A Constellation of Vital Phenomena, “a 21st-century War and Peace.” The Washington Post extolled it as “a flash in the heavens that makes you look up and believe in miracles.” Marra’s brilliant tale of love and forgiveness in war-torn Chechnya is a New York Times bestseller, on a dozen national “best ten” lists, the winner of the 2014 National Book Critics Circle’s inaugural John Leonard Prize, on the shortlist for the 2014 PEN/Robert W. Bingham prize for debut novel, and was recently named Book of the Year by the Northern California Independent Booksellers. 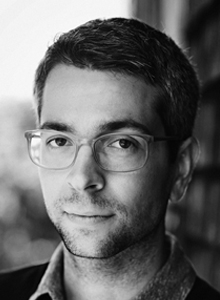 In addition to the honors mentioned above, Marra is the winner of a Whiting Award, a Pushcart Prize, the Narrative Prize, the 2014 Anisfield-Wolf Book Award in fiction, and the inaugural 2014 Carla Furstenberg Cohen Fiction Award. 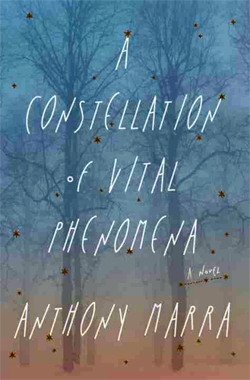 A Constellation of Vital Phenomena was a National Book Award longlist selection as well as a shortlist selection for the Flaherty-Dunnan first novel prize. Marra’s work has also been anthologized in The Best American Nonrequired Reading 2012. Stories on Stage, the popular, award-winning series where actors perform short stories, is celebrating its fifth year. It takes place on the final Friday of each month, customarily at the Sacramento Poetry Center. But because of the anticipated size of the audience, the August event will be held at Verge Center for the Arts, 625 S Street, Sacramento.